Saturday May 9th is the big day for the ride with Laureate International Universities students that I’ve been organizing for the past month. 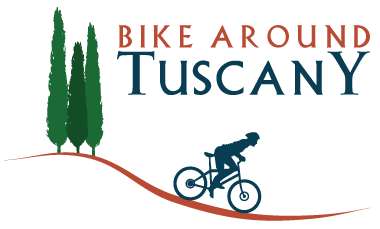 Since the group is gonna be pretty big I decided to have biking buddy Roberto help me and at 9:00 a.m. we are already in Greve in Chianti to help Marco Ramuzzi get all the bikes ready. Bikes are all lined up in front of the store and here comes the bus. Students start getting off the bus and Roberto and me look at each other and we both think “are they here for a bike ride or for a party”? They start choosing their bike carefully mathing with their outfits 😉 and after a short briefing on how to ride and operate a bike (nobody took notes …) we start our tour. It’s a gorgeous day and riding on the trail that takes us from Greve to Castello di Verrazzano is a pleasure. We turn on the Chiantigiana and head north towards Passo dei Pecorai where we turn right to start climbing towards Nozzole estate. The group seems to enjoy the ride even if going uphill is always hard, but I have to say they all do pretty well, they stop every now and then to take pictures, always remembering the motto of the day “BIKE or HIKE”. Once we get back on the Chiantigiana, they have to face the last stretch of uphill to reach Spedaluzzo, and finally downhill all the way to Greve. It’s over and they all well deserve lunch and especially a good glass of wine. 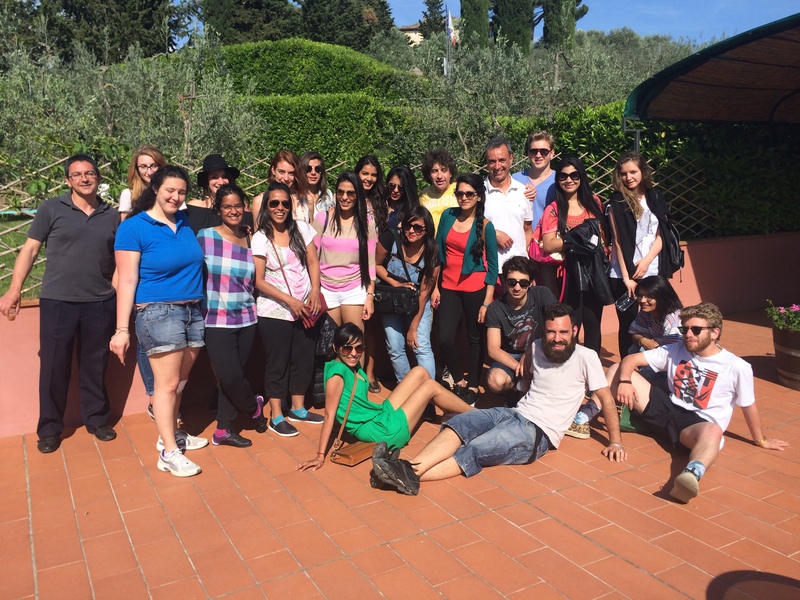 Time to get on the bus and get to Terre di Melazzano where table is set and we all have lunch together on their terrace overlooking Chianti vineyards. 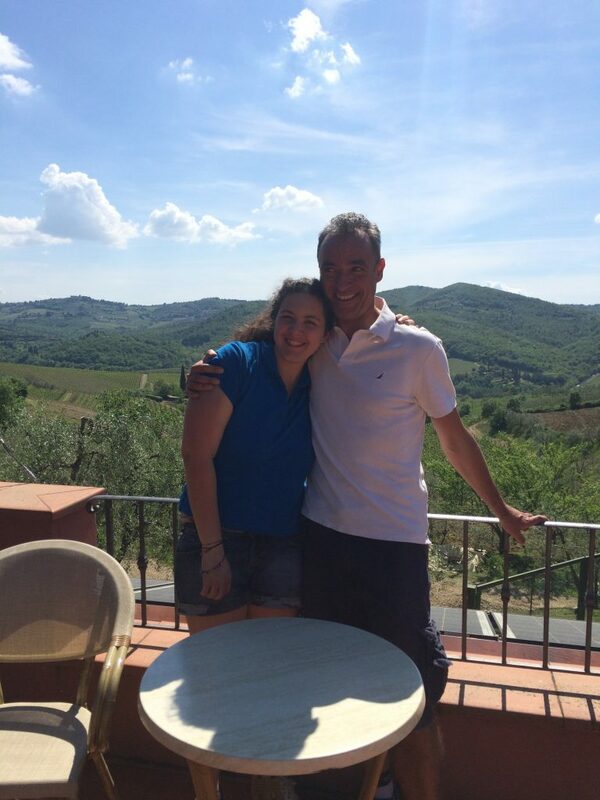 We all relax drinking wine and eating Tuscan food and have a good time, remembering stories of the bike ride and laughing thinking about all the things that happened during the ride. Eventually it’s time to go. everybody definitely had a good time. Arrivederci see you in October.